Still just 17, Alex Wise has stormed on to the British archery scene in recent years. Having blazed a trail through the youth sections, Alex stepped up to the seniors in May to win World bronze alongside Patrick Huston and Tom Hall. We caught up with Alex for a chat about his career so far and why British archery is in rude health. KUDOS: So let’s start at the beginning – when and how did you first get into archery? Alex Wise: I first tried archery while on a family holiday in Turkey. We stayed on a resort and there were people who did the activities every day of the week, and after I’d tried it for the first time I was always there first thing in the morning to book in for every day. I loved it – although it wasn’t anything like what I do now. The bows were half broken and you were shooting a different size arrow every time, but it was still great fun. I got home and enrolled onto a beginners course with my local club ‘Bowmen of Walker’. By the start of 2015 I’d completed the course and had my own bow, and I have been a part of that club ever since. It all started happening for you very quickly. At what point did you realise you were pretty good at this, and start taking it more seriously than just a hobby? It was around the middle to the end of 2016. I managed to win the Junior National Outdoor Championships in 2016 and that was my first real big win as an archer. Even then, I wasn’t at a brilliant standard, but towards the end of the year, just as the indoor season was kicking off, I had a session with my then-coaches, David Harrison and Helen George. They found what was to be the major factor in improving my standard, which was a little fault in my technique that i just needed a longer arrow to fix! So Dave loaned me some longer arrows and the rest is history! Haha! Your 2018 has been quite amazing so far – in January you won junior recurve gold at the Archery World Cup in Nimes, and by May you were winning medals in the seniors. Can you tell us a bit about those experiences? Yes my 2018 has been a good ride so far! Although it hasn’t all been plain sailing; I had a shoulder injury for a month or so just as the outdoor season was starting which made it difficult to shoot the volume and scores that I wanted to – as well as making it tricky to work on technical things. But that’s all okay now. I decided i needed to get much stronger, so I have been working on my strength behind the bow so I don’t have to have that problem again! The Nimes World Cup was great! My qualification round was just where I wanted it to be and I managed to win all of my matches and make the gold final while still shooting at a very high standard. This was my first indoor final, and they are very different because in indoor archery it is more about the fact you can’t miss the 10 ring, rather than wanting to hit a 10 when shooting outdoors. It was a fantastic experience nonetheless and I got to beat a French guy on his home turf too! I also got to have my girlfriend Bryony in the coaches box for that one – we had great fun, even under pressure, which is always a bonus! I won a team medal in Antalya World Cup with my teammates Patrick Huston and Tom Hall – it is always an absolute pleasure to shoot with two people I respect in archery and am also very good friends with. We had been doing intense team training over the winter months and we finally got to put it into practice in Antalya, and it seemed to pay off! I can’t wait to see what we can achieve next. How big is the step up from the youth ranks to the seniors? And do you feel almost less pressure in the seniors because you’re so young and expectations are lower? The step up is huge. The events are more intense and at such a higher standard, so a lot more is expected of the archers. Personally I feel more pressure when shooting at senior events – I’m selected to get results, this means nobody is going to say ‘its okay, you’re only young’ if I don’t perform well. I have to perform to the standard I need to, to get results at each event I compete in, no matter if it is a youth event or a senior event. I always give 100% and I always want to win – and believe that I can. Do you set specific goals every year, or are you just sort of freewheeling at the moment, enjoying the ride and seeing where it takes you? I set goals yes, the goals are normally score based and then results based. This year my goal was to win medals at the World Cups which would then make sure I am selected for the European Championships team, which is later this year in Poland. Being selected for that was my main goal. I didn’t perform how I wanted to in the senior division last year, so I’m back again this year more determined than ever! British archery seems in rude health at the moment, particularly with younger archers like yourself, Bryony Pitman and loads of others. You’re all in the bubble, but do you guys sense a growing momentum and the huge potential to win medals both now and in the future? Yes, the Great Britain teams’ standard is on the up at the moment! We hadn’t won a medal for about 6 years before our medal in Antalya, which is super positive going forward! And to be a part of that medal just makes it feel even better! There is so much talented youth coming through at the moment, which is probably what we have been lacking in the past – the future is looking very bright for team GB and there is much more to come from us! Are you thinking about Tokyo 2020 yet? What are your goals going forward? Tokyo is of course always on my mind. I am really looking forward to getting the chance to compete at an Olympic Games! It’s the dream! But there are many things that have to happen before then, like winning spots for the Olympics at the World Championships next year. There are still many steps, even if it is only 2 years away, and I know I need to work hard to get my standard up in that time. Finally – the more people that participate in archery the better. We think one of its greatest selling points is its inclusivity – anyone, no matter your age, background, size, shape or whatever, can get involved. 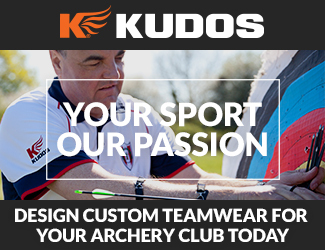 How would you sell archery to someone who’s never tried it before? You’ve hit the nail on the head there really! It’s such an all round sport. There are many different levels you can compete at, in fact you don’t even need to compete to do archery – the social side of it is what I really enjoy, and I have made so many friends since i started. It’s the best choice I’ve ever made! There are also so many different disciplines in archery, so there really is something for everyone! The biggest thing that I enjoy about archery is how rewarding it is. I played football for 10 years and just didn’t feel like I was getting any better, or could get any better. In archery, if you put the work in behind the bow, you get results – you get what you put into it, which is even better when you are obsessed with the sport! Thanks so much to Alex for taking the time out of his busy schedule to talk to us and being so open and informative. It’s clear Alex has a bright future, and he can be a central part of British archery successes for years to come.